Yesterday, (December 22), James Edwards and Roger Webb visited Stac Pollaidh. It was another bitterly cold day, and a temperature of -16C was recorded in the valley. They climbed the first two pitches of North-West Corner and then went straight up for a further two pitches of Tech 7 adding another 60 metres of new ground. 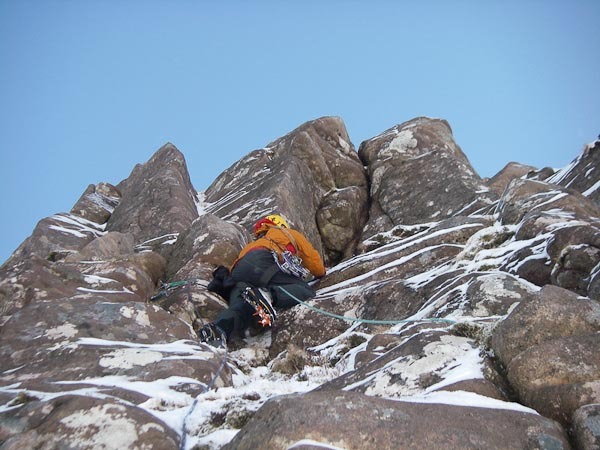 On November 28, they made the first winter ascent of Enigma, so this is the second new addition the pair has made to Stac Pollaidh this season.